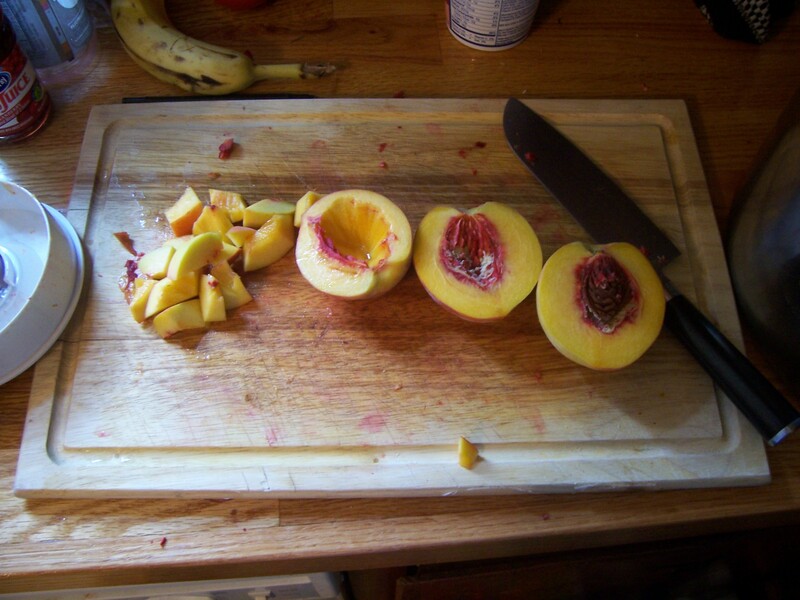 I haven’t updated about peach in a while–I think that is accurate as I haven’t done much with the peach in a while. I’ve tried to add my usual gelatin-based clarifier to get it really clear but even after at least a month it did not get as clear as I’ve been trying to get. One thing I’m pretty happy with is that I set out to make two identical batches and I have ended up with two identical-tasting batches. 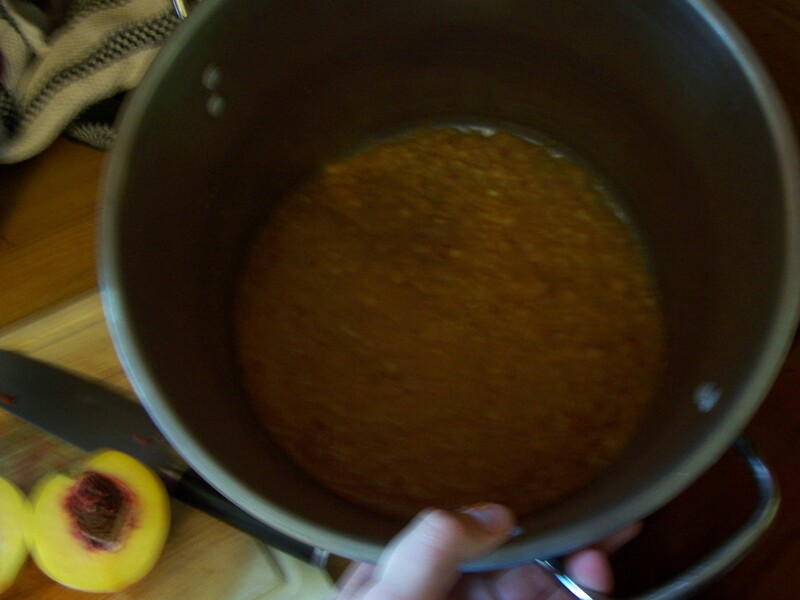 I haven’t been compelled with the actual taste yet (the honey is potent, the peaches are not) but it will age nicely. 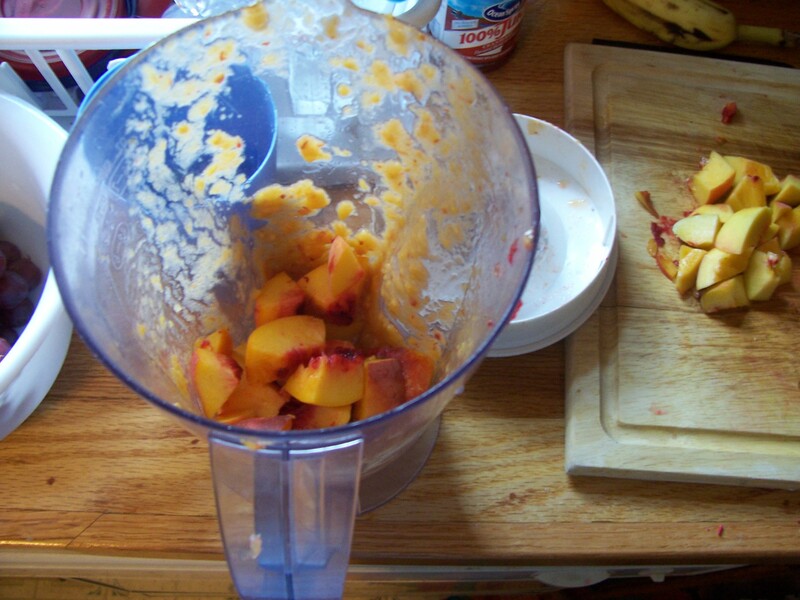 I used about 10lbs of peaches per batch, though I don’t think that will add quite as much peach flavor as I was hoping. I’m fine with undertones though. For the technically inclined, this mead brewed with fruit is called a melomel. I started up 2 new 4.5 gallon batches of mead today, finishing up the 5 gallon bucket of honey that I bought earlier this summer. How fast it has gone, but oh well. For future consideration, I don’t think the money I save buying in the bulk 5 gallon bucket is worth the inconvenience of measuring out the right amount of honey for each batch. Honey is very…viscous.